<b>Neely Quinn</b> is a certified integrative clinical nutritionist therapist who specializes in paleo foods and works as a nutrition coach and writer. She is the author of <i>Paleo Comfort: Grain &amp; Diary-Free Recipes for Your Soul </i>and the coauthor of <i>The Complete Idiot's Guide to Eating Paleo. </i> <p></p><b>Jason Glaspey</b> is the founder of paleoplan.com and works as a consultant for startups and e-commerce. 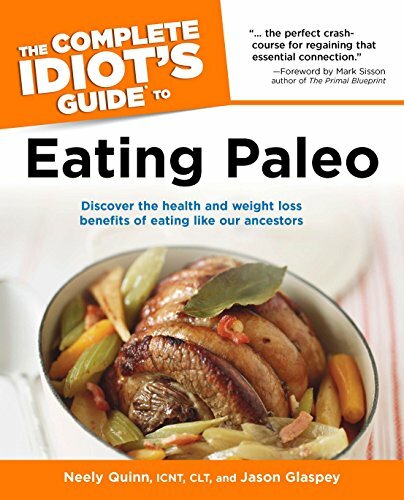 He is the coauthor of two books<i> The Complete Idiot's Guide to Eating Paleo</i>, <i> </i>with Neely Quinn, and <i>From Idea to Web Startup in 21 Days</i>, with Scott Kveton.